APCO puts Nigel Fa...rage(?) in his place, McGuinness out: you heard it (insinuated) here first), EffWeek told to eff off, HELLO to Dom Joly and more from Flack's week. Flack was invited this week to a US election briefing at APCO Worldwide's office with three senior staff from its Washington, DC office - all with impressive political track records behind them - and an adviser to the firm Dan Glickman, a former cabinet secretary in the Clinton administration. Lisa Osborne Ross, head of APCO's DC office, who worked in former President (Bill) Clinton's administration bemoaned Hilary Clinton's poor performances so far. "The woman I see on TV is not the woman who would ask me about my children, about a piece of jewellery, what I was going to do after I left the administration," she said. Ross, who also advised President George W Bush on various initiatives, said that Obama's team had been "horrible communicators" in some respects. Glickman was equally irked by this. "Obama saved the auto industry – where's the rhetoric? Where’s the noise?," he cried, despairingly. Ross' colleague Dan Scandling, a former Republican staffer and "token Republican" on the panel, in his own words, was admirably measured in the face of criticism of his party and voters through the evening. He said he would not vote for either candidate - despite saying Clinton could be an "outstanding" President. With Trump receiving a poll boost this week, Flack wondered what effect UKIP leader Nigel Farage has had in his recent work advising and spinning for Trump, to the fascination of UK newspapers. Could the election end up being won by Nigel Farage?, Flack asked. The stellar political line-up took a nervous pause. "We don't know who that is," said Ross. "So no." Andrew McGuinness, who it was announced this week was standing down as Freud Communications CEO, featured in Flack just last month for a refreshingly unusual out-of-office email. "I’m currently at Harvard Business School doing the Advanced Management Programme. In my absence my PA will forward your email to the appropriate person," it said. This had been rumoured to have been done as an amicable way to have McGuinness leave the business. At $80,000 (£64,000) a pop for the seven-week course (although that does include tuition, books, case materials, accommodations, and most meals), it is quite some leaving present. Was it worth it? "I learnt a lot at Harvard but even more from Matthew," said McGuinness. Conclusion: Matthew Freud is worth even more than $80,000. In the (fondly) satirical media industry parody magazine that Flack dreams of one day producing, this headline would take some beating: 'Ad muppets blather away at 'echo chamber' conference'. Thanks to fuming PR agency boss Martin Ballantine of Piracy Corporation who provided that, in response to this from a marketing conference that concludes today. Yup, turns out PR is dead. Again?! The right-leaning newspapers rather enjoyed themselves this week reporting a parliamentary committee casting its eyes back over the EU referendum campaigns. Will Straw, who lead Britain Stronger in Europe and was later "lavished with a CBE" (in the words of the Daily Express) in ex-PM David Cameron's controversial resignation honours list, was asked about that bestowal. "I don't know why I was given the award. I didn't ask for it," he said, going on to rather charmingly justify his taking the CBE thusly: "I wanted to have an occasion to take my wife to the palace." Honesty, as political campaigners know, is always the best policy. In case you hadn't already guessed, this modern-day clash of the titans is, of course, PRWeek's Five Campaigns We Liked in October poll, which looks set to go down to the wire. At the time of writing, a colossal 3,750 votes had already been cast, with easyJet's 'Why Not?' campaign nudging ahead of the NHS/YMCA's #IAMWHOLE – by 1,343 to 1,313 votes, respectively. NSPCC's Little Stars, Return of The Walking Dead and Nicorette's One Breath are also in contention. 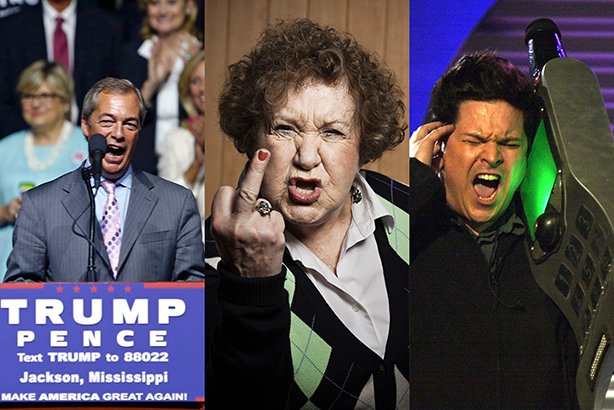 Literally [sic] hundreds [sic... ish] of celebrities, including Dom Joly, have thrown their weight behind the contenders, so you should too: "VOTE HERE!!!" As Theresa May's 'Brexit means Brexit' threatens to become the defining slogan of our generation, so begins the creative attempts to play off it. 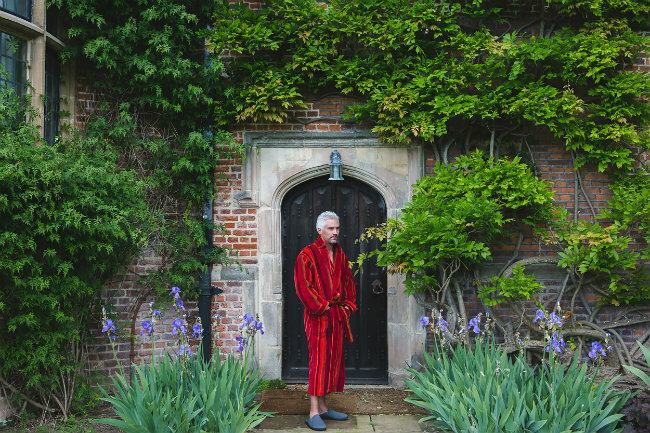 "Brexit means ...PYJAMAS," reads a press release that came to Flack this week. "Ross Thompson, CEO of Bown of London, says maybe it is down to the patriotic BREXIT effect …….or more likely, an increased number of people working from home and increased leisure time coupled with an ageing population means increased pyjama and dressing gown sales," continues the release, with Flack particularly enjoying the exuberant use of punctuation.